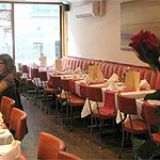 Established in 1974, Sheba is one of the most famed and popular Indian restaurants in Brick Lane. They only use premium quality produce to create their extensive range of dishes. Do you work at Sheba Restaurant? What did you think of Sheba Restaurant? 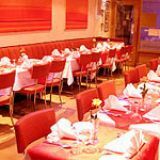 The staff at Sheba Tandoori Restaurant are really helpful, and this is a very child-friendly place to eat as they'll make dishes as mild for you as you like. The food is great and our kids love it! Sheba Tandoori Restaurant can be a little pricey though, so is only for special occasions. Its a hard choice choosing restaurants in Brick Lane, but Sheba seemed charming enough for us to go in. General rule of thumb in Brick Lane is not to go in a restaurant that has people outside giving you ridiculous offers. Sheba along with few others does not need them touts. The food was great, and service was good. Its worth a try if you're in Brick Lane. Visited Sheba last night the food was delicious and service was great. Some great selection of curries, we had Kali hari Mirch muug and lamb shank curry it was truly exceptional. Nice little restaurant that serves lovely food! Good food, Good service, good selection of drinks the waiters really took care of us. We will for sure return to Sheba if we come back to Brick Lane. 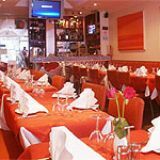 Best curry house in London with lots to choose from so menu can get confusing at times. Starters we ordered the lamb chops which were delicious an absolute treat. The chicken chat puri was sublime. The curries were amazing especially the lamb Lucknow soft and tender falling of the bone with a stroke of the knife. The staff were very friendly and contributed to it being a great night out. Sheba has a menu that caters for everyone. The dishes were delicious especially the Shofri Ghost (pumpkin with meat) and Lamb Chop Korai. The service is good and its one of the better restaurants in Brick Lane. Worth a visit! There's lots of curry houses in brick-lane, but I've got say SHEBA was the best one I have been in. Came across Sheba with a few mates as it was my second wedding anniversary. Loved the curry, especially the Chicken Xacuti and Sheba's Special Murg Masala; the Lamb Lucknow(THE SHANK) was delicious too. Would definitely go back, wife goes crazy for Sheba. 100% recommended to evryone. I had wonderful experience at Sheba Restaurant , Brick Lane ; the range of specials I was given truly made my day . I Just didn’t know which special to have. But before the specials I started with a divine appetiser, King butterfly prawn it was called; a nice big prawn sprinkled with bread crumbs . This was followed by a magnificent Biriyani and I am big o f biriyani. So I ordered my favourite one Chicken Tikka Biriyani which truly enlightened my day . The curry I selected with joy was the lamb curry all the spices were just evenly matched , perfect with the whitest of rice That glowed like snow . it was only to be the chefs special rice. For the sides I had plain Naan with and cheese Naan that made my taste buds jump with excitement . For liquids I jus had the still water and coke even though they had massive range of alcohol, for desert I had Chocolate Mousse. Which just melted down everything into place. For the people who had trouble with the restaurant . all restaurants make mistakes if let down a restaurant like this it is your loss , At the end of it I would say it was utterly brilliant and I would come again with friends. Booked a table for 6 people at Sheba, the food was fresh and full of flavour. The chicken shashlik was the best I ever had so flavoursome and such a big portion. We ordered a variation of curries which all of us shared. The service was great and atmosphere buzzing. A great curry house for curry fanatics. Excellent food with a great vegetarian option for me. The Tandoori Veg Masala was delicious, Garlic mushrooms and onion bhajis as starters was full of flavour. Nice size portions and good service made Sheba well worth it. Extremely happy to have chosen Sheba for my friends birthday party. The service was really good and atmosphere was cheery, above all the food was amazing. Sheba does some of the best curries in Brick Lane its got something for everyone. Give it a try you wont be disappointed. We had a great party at Sheba on Tuesday night, the staff were really accommodating, the atmosphere was good, and above all the curries were delicious! The meal was absolutely fabulous, the mixed grill was delicious, and curries were spiced to perfection. Nice atmosphere playing bollywood movies on the background and very reasonable price for massive portions of food. All my mates were really happy! My mates booked a table for my birthday and I was really happy they chose Sheba. Being a lover of Indian food Sheba ticks all the boxes, the food was great, the service was friendly, and above all we had a great time. Thanks Guys! For those who like genuinely good indo/bangla food Sheba stands out as one of the best in Brick Lane. The food is amazing especially the seafood and vegetarian options. Nice atmosphere, good service and value for money made Sheba a good choice for a night out. Well worth the visit. This place is life-less. The atmosphere is dull. Food was ok at best but nothing special like mentioned on these reviews. Waiters glare at you while you are eating. Having check some of the reviews here again it seems these are fakes!! Apparently the same person named rocky below visited the restaurant 3 different times and has written 3 different reviews! sheer disgust. The environment is very relaxed and gentle, loved the lamb bhuna and my girlfriend loved the king prawn coriander. would recommend to others. Try it. We booked a table for four people on Sunday it was really busy but they saved our table. The food was really delicious with some unique dishes such as Bengal lobster and king prawn coriander. Service was good and it was well worth the money spent. Avoid at any cost! Food to service, value to atmosphere, totally opposite to all the positive reviews written here! Clearly fake! Brick Lane is hit and miss but Sheba as always delivers some of the best dishes in the Lane. Service is very warm and genuine and value is excellent. Its definitely the place to go for a real curry in London. A terrible Indian restaurant. Had a mixed platter starter, featuring a postage stamp-sized samosa, spring roll and kebab, and also a wing from the world's smallest chicken. Main courses similarly small, very oily and generally not very nice, chewy and very cold, we left plenty which is unusual. Also service very slow apart from when it was time to pay the bill. Will not be going back Appalling attitude! 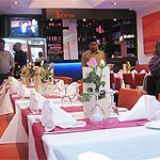 One of the best curry house in London for its mixed grill and Bengali seafood dishes. I am a lover of spice and hot food and Sheba has amazing curries the Lobster was great, and Chicken chilli was lovely well spiced and hot. Samosas were perfect and onion bhajis delicious. 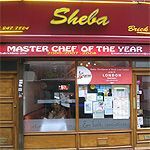 Great food, great service, a joyful atmosphere and costs a fraction of what you will pay at other eateries in London Sheba turned out to be a gem. Worth a visit simply because Brick Lane is the best place for an Indian and a fun night out! The food is amazing at Sheba perhaps one of the best curry places in London. I can guarantee that you wont find a better Onion Bhaji or samosas in London yummy! Service is great and above all its value for money! One of the best Indian restaurants in London for the tastiest curries. The service was friendly and atmosphere was nice. We booked on a Tuesday for 8 people and everyone was happy and stuffed due to the large portions of food. Good value, excellent menu offering weird and wonderful dishes, worth a try if you love your food! Excellent food and great service made this a memorable day for our group celebrating my birthday. We got 20% Off our bill and at the end all of us got a free shots. Absolutely loved the chicken chilli tikka and garlic chicken which was served in a bed of fluffy basmati rice. The keema nan was lovely and perhaps they do the best onion bhajis in London because it was perfect. Sheba is worth a try for their delicious food and charming service. The food and the service at the restaurant was great although the tables were a bit tight non of my party really minded because we all had a great time. The atmosphere was really friendly and we all were really happy to choose Sheba for our party. Had lunch this afternoon here. The competition around this area is ridiculously crazy. There are tons of guys outside asking if you want to come in. They're just badgering you to come into their restaurants. I was pleasantly surprised about Sheba, though. It was one of the few restaurants that had a nice vibe to it. No-one standing outside asking you to come in and eat. The quality of the food was great. I learned that it takes a lot of time and spices to cook the things they do. Especially the curry. It was very "fresh" so to speak. In the end, the places that don't badger you to come in is worth a try. They're modest and hard working. The food was really good and service was nice. The price at Sheba with 25% OFF with viewcard makes it very reasonable. Its worth a try if you are in the area. Food was average at best but restaurant is full of lies and deception. Having promised a deal at the door and then refused that deal after dining it wasn't the nicest of feelings. What made it worse was the approach of waiters and the conversation that followed. Waiters hadn't a clue what they were talking about and the body posture and hand gesture made us feel intimidated and threatened. Avoid this restaurant. Great food , great service with some wonderful house specialties make this one of the best eateries in Brick Lane. Worth a try. The food was amazing at Sheba and one of the best in Brick Lane for a real indian curry. The waiters were very helpful and explained the menu well. They have a very extensive wine list. Its worth a visit if you are looking to dine out at a restaurant who wont rush you out after your meal. One of the many solid curries I've had on Brick Lane. Def go if you have the Viewlondon card but they may not let you byo with it. And make sure you get the right percentage off (they tried to give me 25%when it should have been 50%)-lamb Lucknow - Worth coming here just for this. Falls of the bone and oh so tasty.-chicken Tikka Masala - Good, but not the best I've had. Had a great meal for two at Sheba the food was amazing and service was charming. Worth a try if in Brick Lane, the difference between them and others is Sheba does not rely on door salesman to tempt customers. Absolutely nothing special about this restaurant like otherwise claimed. Food is very average. In fact i have had better curry at other restaurants on brick lane. Having booked the venue for a special get-together it really disappointed. Crowded and crammed it seemed. Food came out luke warm and were sent back to be reheated. Drinks took forever to reach the tables. A compulsory service charge of 12.5% is charged to the already high menu prices. It seemed to us that the price charged for an average curry was higher then the average curry price in a posh 5 star hotel! The table next to ours were complaining to the waiter that their bill was wrong as they had 50% discount but the waiter replied 'the discount has already been applied'. The extortionate price explained the 50% discount. We booked a table for 8 on Thursday at Sheba and arrived promptly to be seated by the waiter. The atmosphere was buzzing with a mix of young and old crowd. The service was really good as the manager explained and recommended dishes from the menu. The extensive menu had some weird and wonderful dishes. I went for the lobster which was amazing, and the lamb shank was soft and tender in a lovely sauce. The starters of King Prawn Puri and Mixed kebabs were sublime. All in all Our crowd were really happy with the food and service and thoroughly enjoyed our night. We went to Sheba with 50% off deal. We were not allowed to take our own drinks with this deal so decided to have our drinks at the venue. The price of an average beer was twice that one would pay in a West End bar! it was astonishing. The food at best was medicure. Having dined at other venues on Brick Lane I reckon this one falls really behind both in-terms of quality and value.